Wanton violence and cynical destruction is not the Zimbabwean way. My thoughts and prayers are with all those affected. As I have said numerous times, everyone in Zimbabwe has the right to express themselves freely – to speak out, to criticise and to protest. What will lead to a stronger economy is investment. That is why I travelled to Moscow, and that is why I will be travelling on to other countries in the region and then the World Economic Forum in Davos. In 48 hours in Moscow, there are signs that serious investment is on the way. 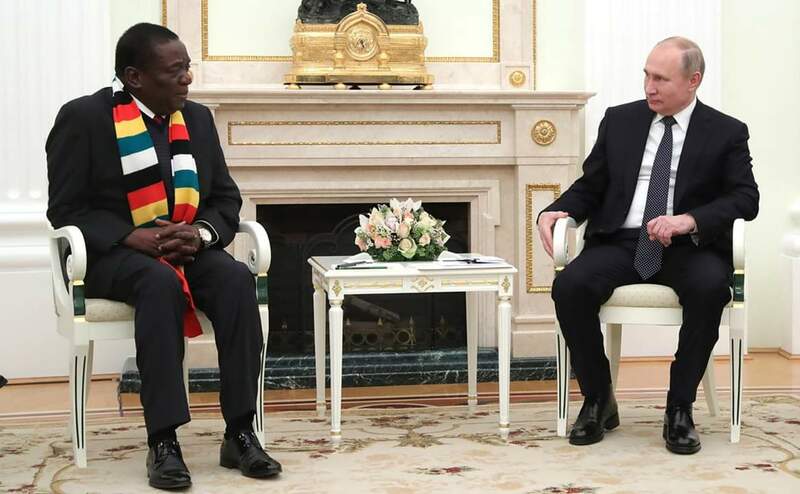 Alrosa, the world’s largest diamond company, has decided to launch operations in Zimbabwe, and we have also signed a series of important agreements that will lead to investment, development and jobs. I understand the pain and frustration that many of you are feeling. Resolving Zimbabwe’s economic challenges is a monumental task, and while it may not always feel that way, we are moving in the right direction. We will get there. In the meantime, I call for calm and peace from all of our brothers and sisters. We are one nation, with one mission, and we will realise it together.